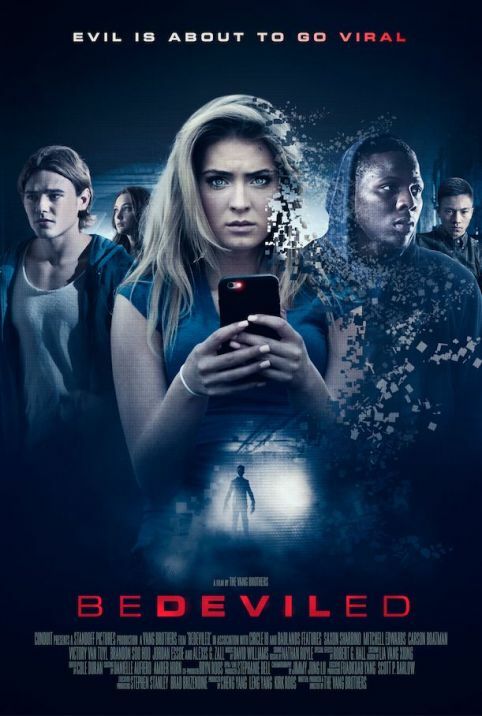 After a friend’s untimely death, five teenagers receive invites to download a new app called Mr. Bedevil that turns their nightmares into reality. Another Saturday night, another movie to be picked. This weekend the winner was Bedeviled on Netflix. This movie honestly reminded me of a retelling of Stephen King’s IT. Mr. Bedeviled reminded me a lot of Pennywise, even at one point in the movie they had the famous red balloon from IT. This isn’t me saying the movie wasn’t entertaining or anything just seemed really familiar. The movie is about five friends that get a mobile app installed on their phones after one of their friends end up dead. The app is similar to Siri or whatever other apps out there are like that. The app seems harmless at first until it starts doing things that aren’t so nice. The app knows your fears and feeds off of them (hence reminding me of Pennywise). Previous story American Horror House (2012) | Students Wanted… For Eternity.